I am posting this story as the result of a request from UBC’s Public Engagement: Campus and Community Planning. It has already been picked up by Daily Hive and I don’t feel much need to copy and paste their content. However if the idea of a green roofed bus shelter that mimics forest tree canopy is intriguing to you I suggest you look at the project webpage at UBC . There is a useful video which neatly summarizes the proposal. We regularly get to enjoy the benefits that humans experience by walking under the tree canopy – most often at Pacific Spirit Park and most recently out at Harrison Mills. I am not sure that a bus shelter offers the same scale of benefits – and I am also not sure that the people working on this project have taken into account the somewhat anomalous situation of bus shelters at UBC compared to the rest of the region. 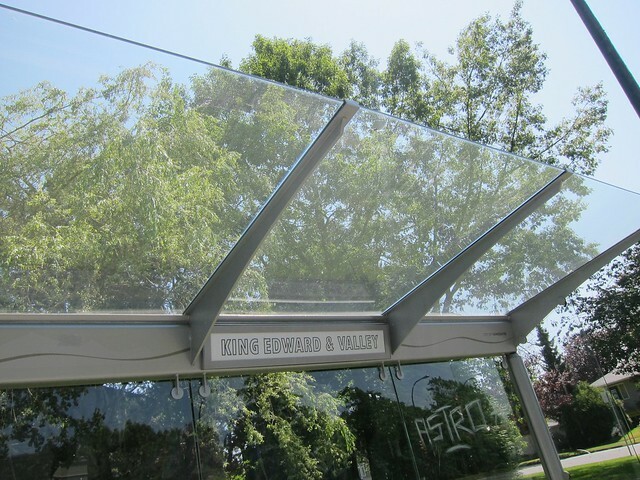 Being street furniture, bus shelters are the domain of the municipality, except for off street locations like bus loops, transit exchanges and some SkyTrain stations. The municipalities do not actually provide the shelters but contract this out to advertising companies (in the City of Vancouver it is presently J.C.Decaux) who make their revenue from the advertising panels. 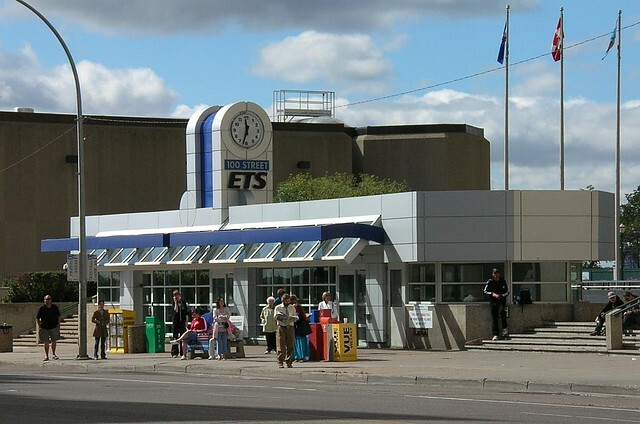 The target market is not bus passengers, or even pedestrians but the people driving past, and that is what determines the likelihood that a stop will get a shelter. Plus of course the availability of enough space. 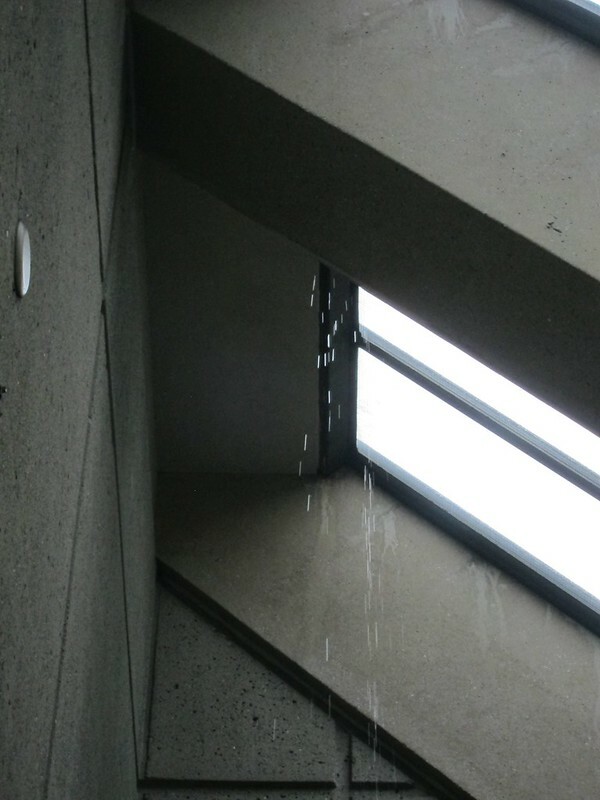 On many city streets, such shelter as might be available is often the canopy of the building at the back of the sidewalk. 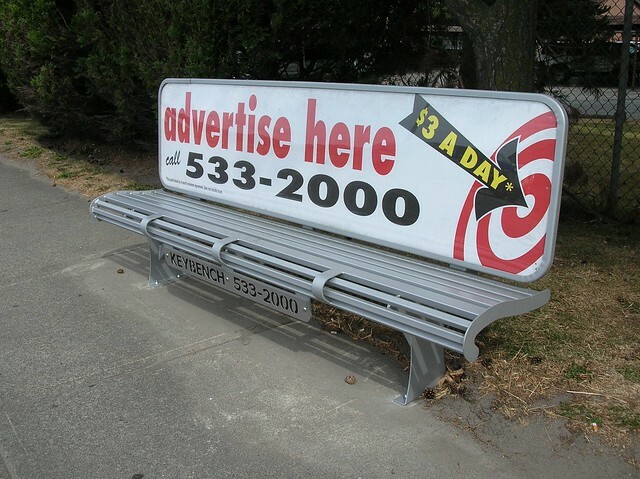 This is also the case by the way for benches at stops: they seem to appeal a lot to realtors. Of course now that Vancouver is declaring its intentions to become Greenest maybe they will be keen to do a different kind of deal rather than getting their share of the ad revenue – or perhaps the Mark II bus shelter will incorporate a solar panel and lighted ads in the walls that appear to be missing from the current design (the current contract runs until 2022). From the rendering supplied by UBC at the top of the post it looks like they do not understand that shelter is also needed from wind – and wind driven precipitation. Looks like all this one needs is its own wind turbine! I was in Beyond Bread getting a loaf and as I came out realised what a great bus stop this was. Once again no actual shelter but there is a bench and a canopy on the building. Of course if you wanted to you could wait for your bus inside the cafe and enjoy a cup of coffee at the same time. Just keep that Transit app open to be warned of the bus’s imminent arrival – when Translink gets their GPS API working again!